I have been dropping in on the Metropolitan Wargamers in Brooklyn for probably 4-5 years, and this year I’ve already finally got around to becoming a full member. The club occupies the basement garden level of a townhouse on a side street in historic Park Slope Brooklyn, just two stops from me on the subway. In a city where space for storage and gaming is at a premium, the club is a wonderland of gaming tables, boardgames and miniatures. While a lot of guys arrange to play a particular game ahead of time, there’s a big opportunity on the weekends to simply stop in at the club and grab a few guys up for playing whatever sounds good. The members of the club are incredibly supportive and passionate about gaming, and the diverse ages and backgrounds always makes for an interesting and entertaining mix over the course of a few hours. If you’re in the NYC-area and you’re interested in what’s going on at the club, I’d suggest introducing yourself via their Yahoo! Group and then come in for a game at some point. You can also check them out via Facebook or follow them on Twitter. 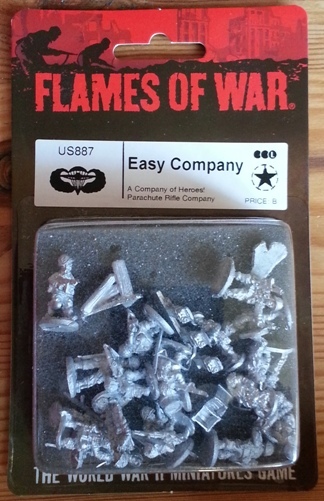 A few years ago I got heavily into WWII gaming in 15mm with Flames of War. In pretty short order I painted up large German and American infantry armies, and then threw in a US paratrooper force for good measure. I signed up and played in a full-day tournament at a convention, and then I ran a game at another convention. Along with my infantry, I’ve also got dozens and dozens of tanks, jeeps, trucks and artillery pieces that have largely sat fallow for over a year as my interests (and schedule) have drifted elsewhere. In the interim, a new revised set of rules were released and a whole host of additional rulebooks focusing on the post-D-Day actions have also hit the market. So, I’m jump-starting my interest in the era again in 2013. A big new starter boxed set containing the new rules and a bunch of new plastic figures and tanks wound up under the Christmas tree. I also scored the new Easy Company set of character figures who bring with them a whole set of special rules as you recreate the famed command exploits of the 101st Airborne Division. I spent part of my time off from work at the end of the year gluing up and priming my new forces and re-familiarizing myself with the rules. I’ve been talking up World War II with some guys at the club, my son seems interested in playing again and now I’ve just got to commit to returning to the tabletop battlefields of 1940s Europe. At a convention a few years ago I signed up blindly for a recreation of the Battle of Rourke’s Drift, one of the most significant engagements of the late-19th-century Anglo-Zulu War and a favorite of mine in the history of warfare. I tucked the game in the back of my head for a couple years, and then I happened upon some really inexpensive boxes of plastic British troops from the era at another convention last year. 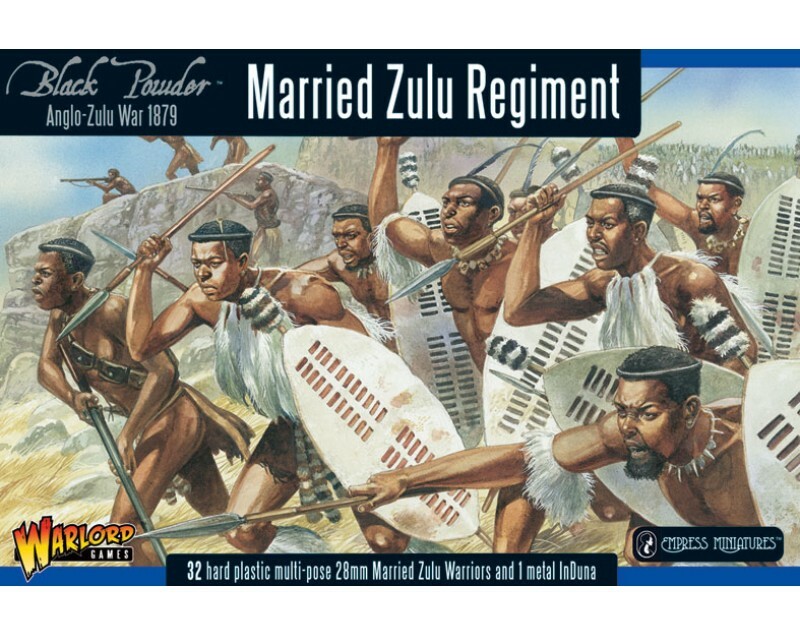 Well, once I had some Brits on the workbench I certainly needed some Zulus (and more Brits). Months on, this project has stalled. I have hundreds of figures glued-up in various states of painting and a couple additional boxes of Zulus still waiting to be unwrapped. There’s a sameness to the British and Zulus which I haven’t quite cracked as of yet. I obviously need a system and a process to tackle all these guys in the coming year so I can finally get them up and running on the table. 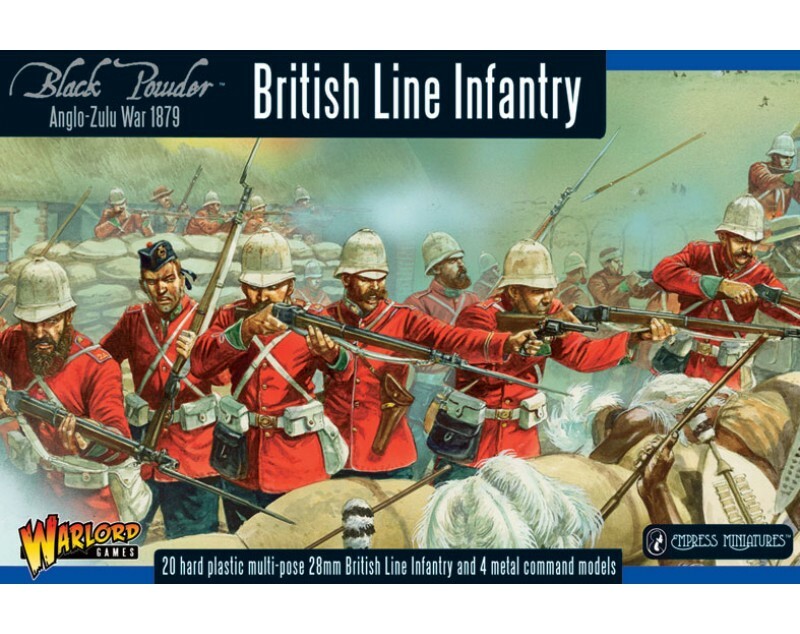 Long-term (really, really long-term), I fantasize about playing the battle of Rourke’s Drift in a true 1:1 scale of approximately 4,000 Zulu miniatures facing off against a contingent of 140 or so British troops. That said, getting this whole Anglo-Zulu project back on track this year is a promise I’m making to myself. If 2012 had a focus for me, it was the American Civil War in 28mm. With the 150th anniversary of the war in the news and Stephen Spielberg’s “Lincoln” in theaters, America’s greatest conflict was in the air. I worked along throughout the year painting away at the wonderful plastic and metal range of ACW miniatures offered by Perry Brothers Miniatures, and my sons and I played increasingly larger skirmish battles on the coffee and dining room tables. At this point I think I’m maxing out with a couple hundred troops in both Blue and Gray. I have a few more models of artillery which are about 80% complete, some fez-hatted 5th New York Volunteer “Duryee’s Zouaves” to wrap up and one box of the new Confederate infantry to start. I’ve been really happy with results this year, and I’m looking forward to hauling the whole contingent out of my apartment by the spring to share my work with the guys at the club. I largely ignored all manner of gaming throughout the 90s, and, with that, I largely missed the boat on the rise of Euro games. Over the past year-and-half, I’ve re-invigorated my interest in boardgames. Settlers of Catan and Ticket To Ride have become mainstays in my home for “family game nights.” I’ve already added Small World to the mix this year, and a friend of ours introduced us to Bohnanza – a competitive bean-planting and harvesting card game – over the holidays. I’ve got a list of others I want to try this year, and there’s probably countless more I don’t even know about yet. Playing games with friends, family and members of the local club is such a fantastic way to disconnect from the realities of the world and re-connect with people in a way we seldom do in the normal course of life. Here’s to 2013 and a year of play.